This month we start a series of posts focussing on a particular module. 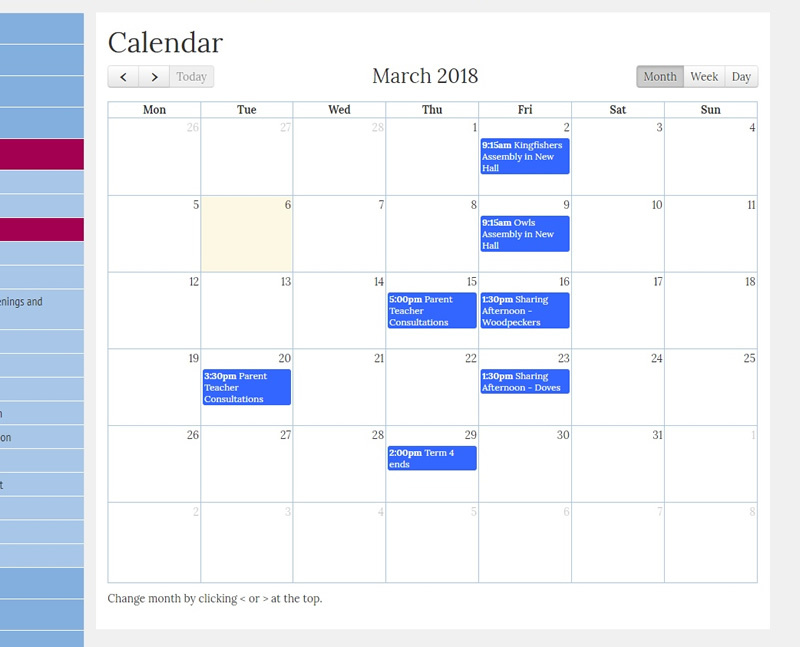 First up it is the CGCalendar module, a full-featured CMS Made Simple diary/calendar module which will display up-coming and past events in all sorts of formats. One of the many great things about CMS Made Simple is its flexible module system, meaning that developers can write their own modules to share with their clients or the community as a whole. Modules can come in all sorts of shapes, sizes and complexities, and sometimes it's hard to find one that suits your needs. That's why we are starting a series of Module Focus articles. This time we are focusing on CGCalendar. This is a CMS Made Simple module written by Calguy (Robert Campbell). The purpose of the module is to provide a diary/calendar system for a website or application so that it can show upcoming and past events. Of course, the web server knows the local time and date so the events shown on the live website are always up to date. Like all good modules, this one uses templates extensively so it is fairly straightforward to get it looking good in your website. First, let's take a look at some examples of CGCalendar in action. Here (above) is CGCalendar showing a full month of events on a school website. A visitor can navigate to a different month with the left and right arrows. You can select a 1-month, 1-week, or 1-day view. 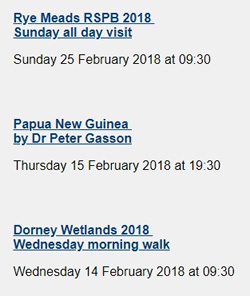 This next example shows the home page of the same website which displays the next three events coming up as a reminder for parents. Again, this is generated by the module, just using a different call and template. 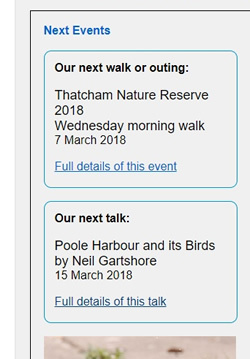 The module features categories and this is another example of the "Upcoming" feature, this time showing the next event in each of two different categories on a nature website. Finally, here is an example of a simple list of events that have already happened, each event is then edited afterward to become a review. Simple! So how do we use the module? First it has to be installed. In your up-to-date CMS Made Simple admin area go to Site Admin > Module Manager > Search tab, type "cgcalendar" and press Submit. You should see it listed, so just click "Download & Install". This module requires both CGExtensions and CGSimpleSmarty to work, so these will be downloaded and installed as well if you don't yet have them on your system. That's the installation done! So how do we use it? Well you should now see two new menu options in the back end: Site Admin > CGCalendar Settings and Content > Calguys calendar. The latter is where you or your editors can add, edit and delete events. Each event has a title, a start date and a start time, it can also be set as an all day event, or you have an option of specifying an end date and time. A textual summary can be added, and a WYSIWYG details box can be filled in as well. Each event has a status of draft (not shown on the live site) or published. There are also some options if your event recurs. There are further options to import and export events. Here is the Content > Calguys calendar screen showing some events. The editor is about to edit an event. As a website admin, within Site Admin > CGCalendar Settings you will find options to add categories (each event can be put in zero, one, or more categories) and also to add custom fields. For example, you might want to add an image for every event, or upload a file. You will also be able to access the Settings tab where you can change colours, the first day of the week and other module settings. For styling, this module uses the Design Manager so when you access Layout > Design Manager you will see various default templates from originator CGCalendar, which you can add to or edit in the normal way. Follow the module's help for guidance on calling the module itself within your content and, hey presto, you will soon have a multi-featured calendar system integrated into your website! 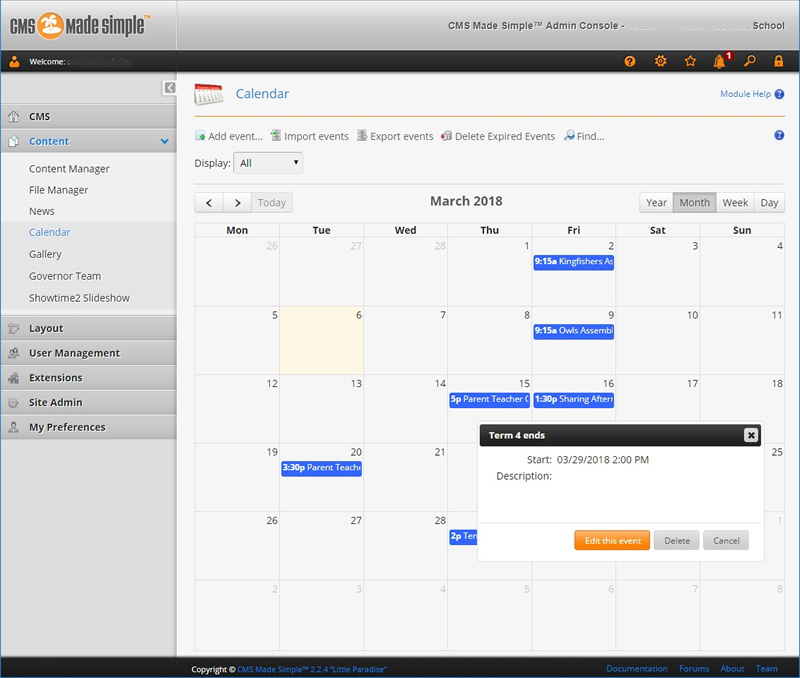 CGCalendar is a great example of a flexible module which can be setup to work in many different sites. It always goes down well with editors and site managers and the templating options make it easy to show event details in a straightforward way. Are there modules you really like using? Share the love! Get in touch if you would like to share your knowledge about a favourite module!